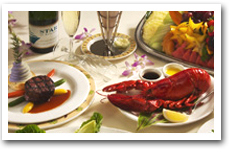 Enjoy casual elegance with a 3-course dinner plus “My Hawaii – Lei of Memories! 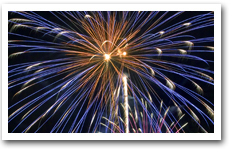 Experience the Hilton Friday Fireworks with the best seat in Waikiki! 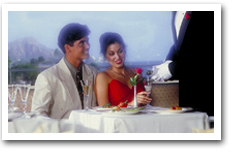 The ultimate in luxury and romance for special occasions! 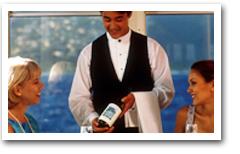 Be pampered at the exclusive Captain’s welcome reception. 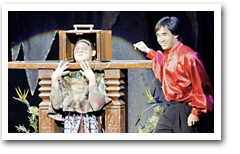 A fun and exciting evening with a 5-course whole Maine lobster and tenderloin steak dinner plus show! 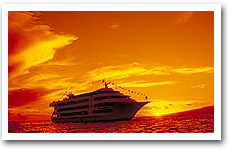 Enjoy the beautiful Hawaiian sunset while dining at sea on the Navatek I! 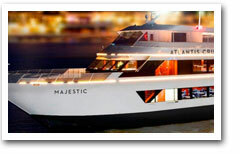 A favorite of families and couples preferring a fun on seas! 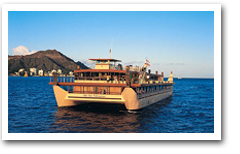 Experience a fantastic Hawaiian evening aboard the sleek and state-of-the-art vessel, the Navatek I. 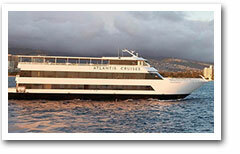 Guests dine in the regal elegance of the Royal Ali’i. 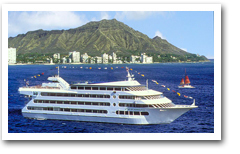 The Royal Sunset Ali’i Club package is the ultimate luxury tour with limousine service to and from your hotel, lei greeting and seating at a private table. « Luau, Luaus, Hawaiian Feast, Visit One on Vacation!